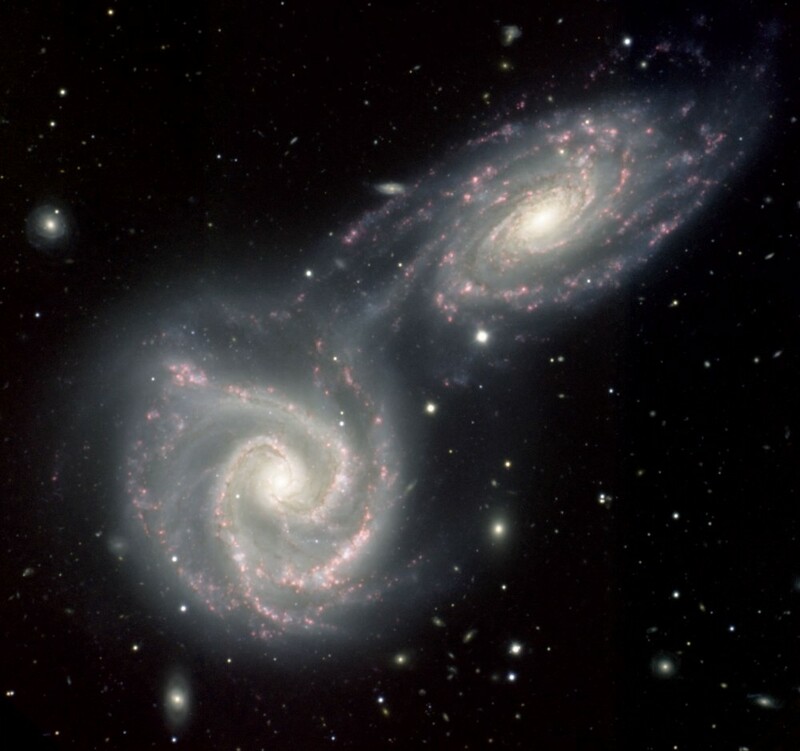 Spiral galaxies are strongly rotating whereas the rotation velocity of ellipticals is much lower. A new study investigates the reasons of such a dichotomy revealing that it is imprinted at formation. 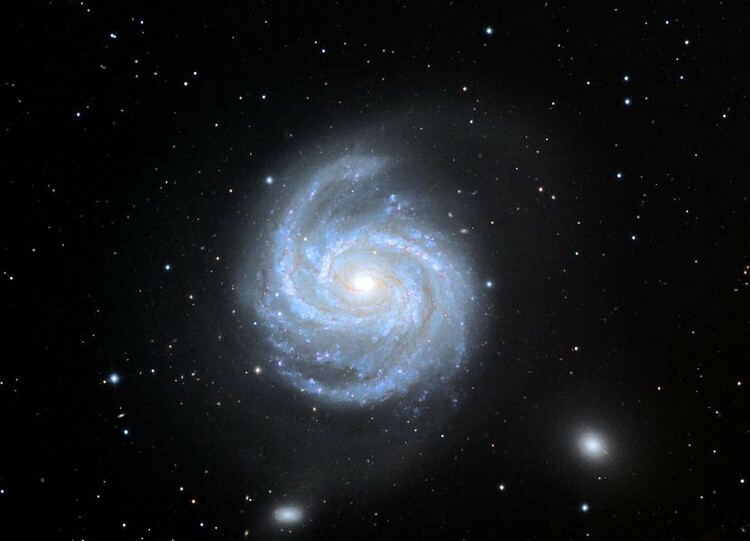 Spiral galaxies are found to be strongly rotating, with an angular momentum higher by a factor of about 5 than ellipticals. What is the origin of such a difference? These observations have the power of penetrating through interstellar dust and so to unveil the star formation processes in the very distant, dusty galaxies, that constituted the progenitors of local ellipticals. “The net outcome from these observations is that the stars populating present-day ellipticals are mainly formed in a fast dissipative collapse in the central regions of dusty starforming galaxies. After a short timescale of less than 1 billion years the star formation has been quenched by powerful gas outflows”. Despite this change of perspective, the origin of the low angular momentum observed in local ellipticals still remained unclear. “This study reconciles the low angular momentum observed in present-day ellipticals with the new paradigm emerging from Herschel and ALMA observations of their progenitors” conclude the scientists. “We demonstrated that the low angular momentum of ellipticals is mainly originated by nature in the central regions during the early galaxy formation process, and not nurtured substantially by the environment via merging events, as envisaged in previous theories”. 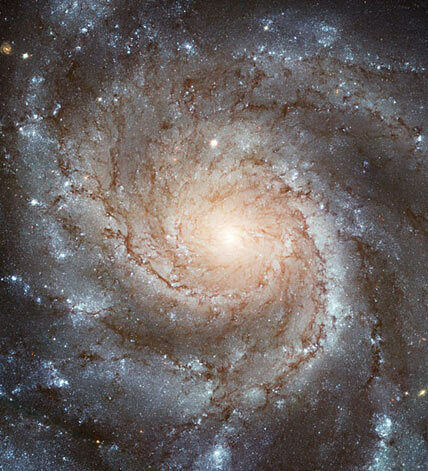 Arguably the prettiest objects in space are spiral galaxies. Young, bright stars trace the arms of these graceful whorls, and dark dust lanes act like galactic eyeliner to dramatically shade them. In principle it’s easy to make a spiral arm. For various reasons, stuff in the disk sometimes clumps together, but the clump won’t stay a clump for long: stars and clouds near the galactic center circle the galaxy faster than the material farther out does, so over time the clump gets stretched into a spiral. 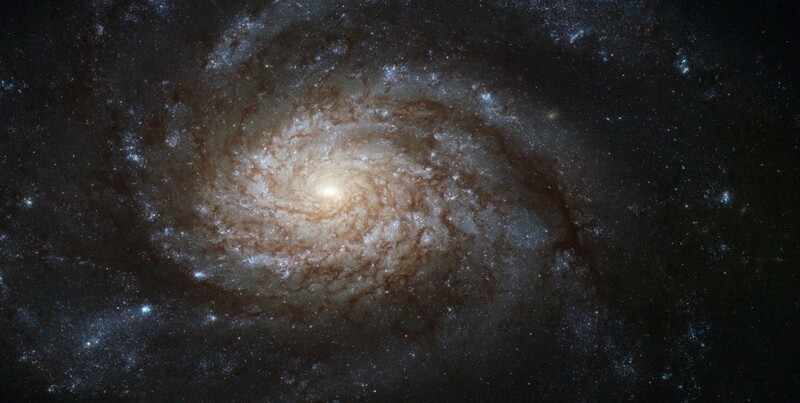 However, by this reasoning, the arm should quickly wrap itself around the galaxy’s center, destroying the spiral. That generally doesn’t happen. Thus for at least half a century, astronomers have debated why these patterns persist. Maybe, many have suggested, stars don’t actually create the pattern — instead, they’re just passing through it. The arms instead would arise thanks to what are called density waves. Now, observations published in the August 10th Astrophysical Journal Letters provide long-looked-for evidence that these waves do exist. If you’ve ever been in a slowdown on the highway, you’ve experienced a density wave. Cars whizzing down the road encounter a region where, for whatever reason, they have to decelerate. Once they’ve passed it, they speed up again. Yet even though cars are successfully passing through the jam, the slow stretch persists and keeps propagating along the highway. The same thing happens (we think) in spiral galaxies. 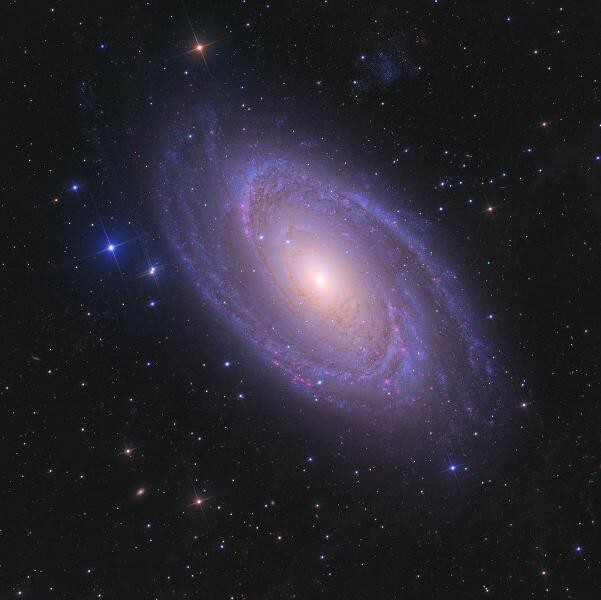 Even as a clump in the disk stretches into a spiral, all the stars and clouds keep moving through that arm, just as cars continue to pass through a highway choke point. Essentially, clouds and stars slow down and speed up again in a chain reaction — a density wave — that moves through the galaxy. The reason we can see this spiral pattern is because as it passes through the galaxy the density wave compresses gas clouds, triggering star formation. The youngest, brightest stars will thus be nearest the wave and trace out an arm. As stars move out of the wave and spread out across the disk they will age and these biggest, brightest stars will die off, preventing the arm from totally winding up. But that doesn’t mean there’s no winding. An important prediction comes out of this scenario: how tightly wound a spiral’s arms appear depends on which population of stars you observe. As time goes on the stars get farther from the wave, and — because the inner stars move faster and the outer stars move slower — their orbital motions do wind the arm they’re tracing, tightening the spiral over time. But because the hot, bluish, live-fast-die-young ones kick the bucket soon after they encounter the density wave, they’ll only trace loosely wound arms. 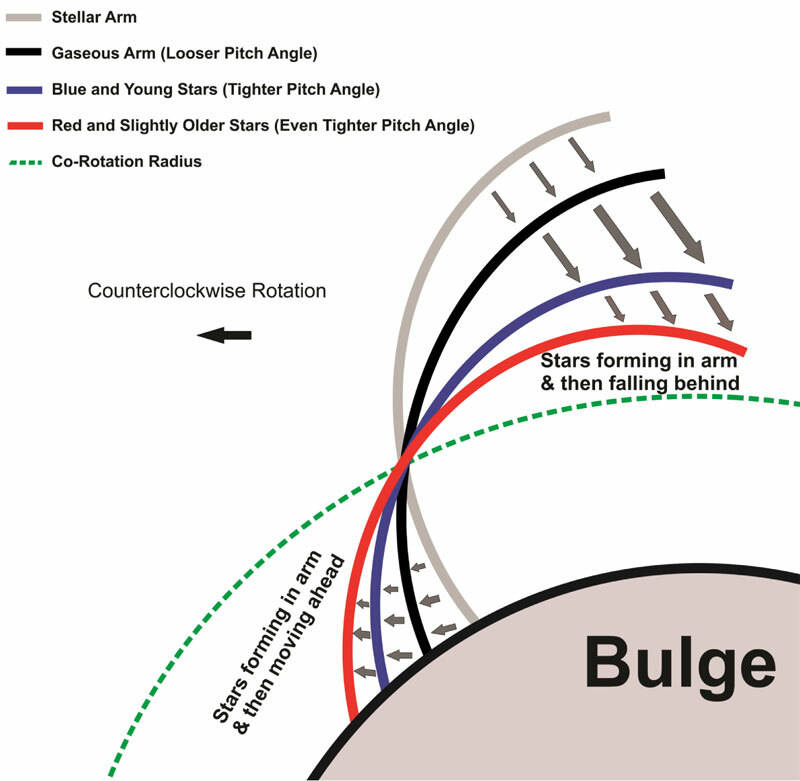 Conversely the older, redder stars will trace more tightly wound arms. So if astronomers look at a galaxy in wavelengths that pick up young stars, they’ll see a more relaxed spiral than if they look in wavelengths that pick up old stars. Until now, astronomers hadn’t conclusively seen this effect. But the new study by Hamed Pour-Imani (University of Arkansas) and colleagues is convincing proof in its favor. 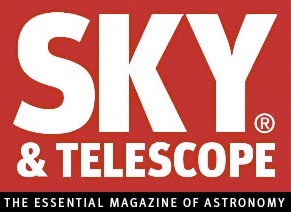 The team compiled archival images of 28 spiral galaxies in far-infrared, near-infrared, optical, and ultraviolet wavelengths. The far-infrared and ultraviolet wavelengths pick up star-forming regions, while optical and near-infrared probe older stars. The team checked its results three ways and sure enough, it found exactly what’s predicted: arms traced by older stars hug the galactic centers more tightly than those traced by star-forming regions. The result is a neat confirmation that density waves exist. It’s rare to find a galaxy where the arms wrap around even a full 360 degrees. But after billions of years, why is that? You can look at any number of spiral galaxies, but they all have the same apparent structure in common. 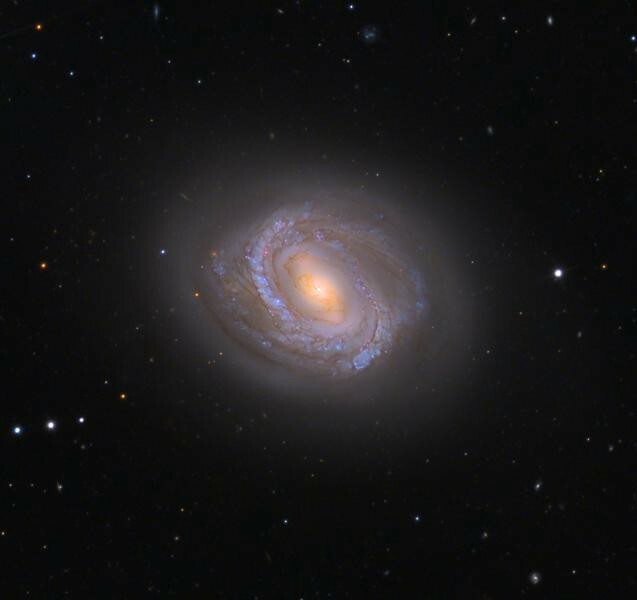 Radiating out from the central nucleus come any number of spiral arms — usually between two and four — that wrap around the galaxy as they spiral outward. One of the fantastic discoveries we made in the 1970s, quite contrary to our expectations, is that the stars don’t move slower in their orbital speed around the galaxy as you move outward, the way planets orbit our central star more slowly the farther out you go. Instead, the speed remains constant, which is another way of saying that the galactic rotation curves have flat profiles. The way we measured this is by looking at edge-on spirals, and seeing how much redshift or blueshift the individual stars displayed relative to their distance from the galactic center. But even though the velocities of the individual stars are roughly constant, a star that’s twice as far from the center as another takes twice as long to go around, while one ten times as distant takes ten times as long to orbit. Given that this is the case, we can do a little math: for a galaxy like our Milky Way, based on how fast the Sun and the other stars appear to move, it takes the Sun about 220 million years to make a single orbit around the galaxy. At our distance of roughly 26,000 light years from the galactic center, we’re a little less than halfway to the outskirts. This means that for a ~12 billion year old galaxy like our own: the outer stars should have completed only around 25 orbits; stars where our Sun are should have completed approximately 54 orbits; stars in the inner 10,000 light years should have completed more than 100 orbits. In other words, we’d expect galaxies to “wind up” over time, as the video below shows. But as our images of galaxies show, they don’t wrap around dozens of times; the arms in most cases don’t even wrap around one time! When we first realized this property of galaxies, it meant one thing was for certain: these spiral arms aren’t material, they’re simply a visual effect. This remains true whether galaxies are in isolation or not. But there’s another hint these galaxies offer, if we look closely. Image credit: ESO, taken with the EFOSC instrument, attached to the 3.58-metre New Technology Telescope [NTT] at ESO’s La Silla Observatory in Chile. Do you notice how there are “pink” spots dotted all along the spiral arms here? These appear whenever we have active regions of new star formation; the pink signature is actually an excess of emitted light at a very precise wavelength: 656.3 nanometers. This emission occurs when hot, new stars burn brightly enough to ionize gaseous material, and then when the electrons recombine with the protons, the newly formed hydrogen atoms emit light at very particular frequencies, including the one that turns these regions pink. 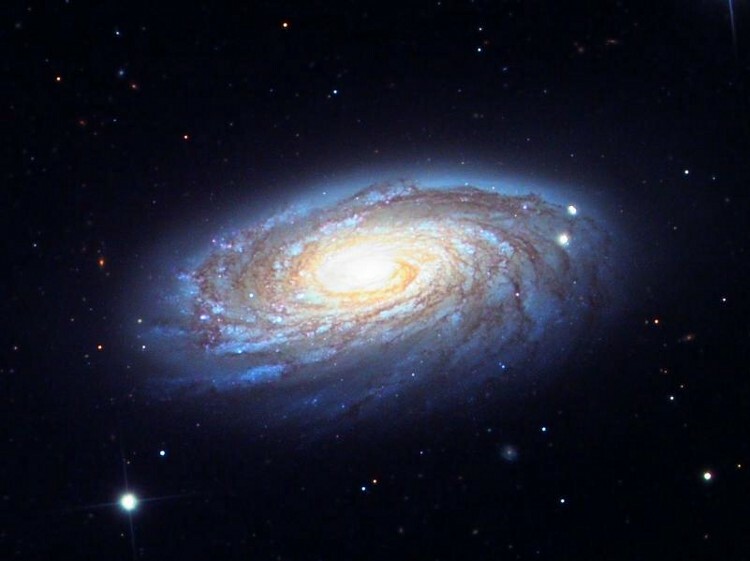 What this indicates to us is that these spiral arms are actually made out of regions where the density of material is higher than the other locations in the galaxy, and that stars are free to move in-and-out of these arms as time goes on. The idea that explains this has been around since 1964, and is known as density wave theory. The theory holds that the arms themselves appear to stay in the same exact spots as time goes on, the same way that traffic jams stay in the same spots. Even though the individual objects (stars in the arms; cars in a traffic jam) are free to move through, the same rough number remain in the “jam” at any given time. This results in the dense pattern maintaining itself over time. The physics behind it is even simpler: stars at different radii all exert the gravitational forces we’re accustomed to, and those forces are what maintain the spiral shape. In other words, if you start with a region where the gas is overdense and you allow your “disk” to rotate, you’ll get an initial series of regions where stars first form: the proto-arms. As the galaxy evolves over time, these arms — and the overdense regions — are maintained by the effects of gravity alone. What’s remarkable is that this effect works equally well whether there’s dark matter in a giant halo surrounding your galaxy (below, right) or none at all (below, left). Image credit: Wikimedia Commons user Ingo Berg, turned into a GIF by Forbes staff. Even though the premise of your question, Greg, was flawed, since the outer stars in a galaxy move just as fast (speed-wise) as the inner stars, it’s true that the arms will never wind up, no matter how old a galaxy gets, simply due to the physics of galaxies themselves. Much like a traffic jam, the stars, gas and dust that find themselves in the spiral arms at any given time will be in a much busier neighborhood, and once they move out again, they’ll find a great distance from themselves to any other star, just like our Sun experiences today.